Apple Pay is undeniably convenient, allowing you to make quick and secure purchases right from your iOS devices. So, you setup Apple Pay on your iPhone and on the Apple Watch and now you want to put it to use, right? 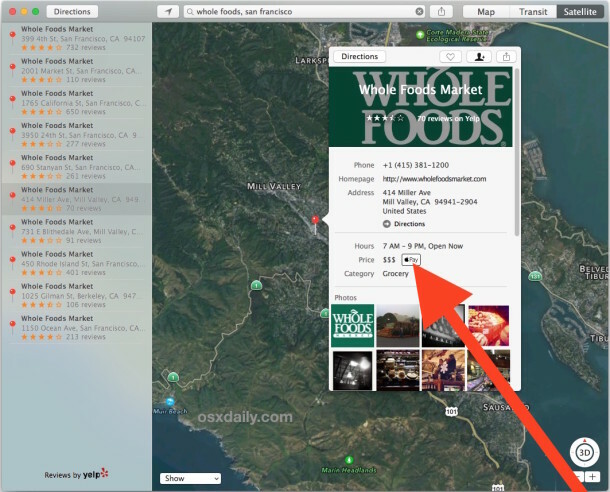 While many popular stores are known to support Apple Pay, there is no reason to be stuck wondering if a particular location, store, or shop supports Apple Pay purchases, because you can actually check for Apple Pay compatibility at most retail locations by using the Maps application. Simple and easy. 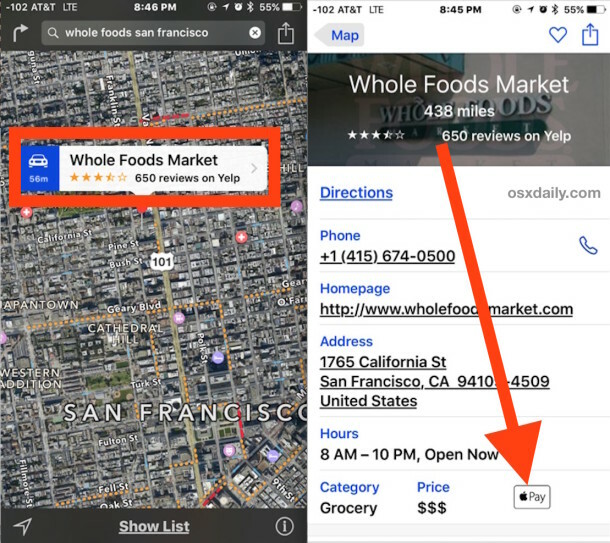 These listings are updated often in Maps so if a store doesn’t currently support Apple Pay but later adds the ability, it should make an appearance rather quickly. Many popular stores support the Apple Pay payment service, but it’s still nice to be able to check beforehand. 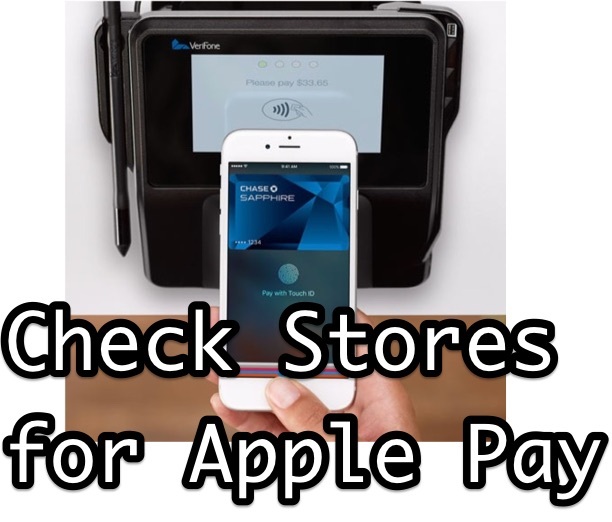 Now you can determine ahead of time if a store supports Apple Pay so that you can make payments with your iPhone or Apple Watch, or if you’ll have to bring along a credit card or that funny paper stuff known as cash to make a purchase. Just don’t ask Siri for help – useless. LOL. For the record, I like vegetables and organic is great! Translate please for we lesser mortals? How do you let apple know if someone takes Apple Pay but it doesn’t show up there? I tried this out on a few stores that I’ve used Apple pay at: only one had the  Pay symbol. So the concluding paragraph is a little off. Bottom line: if the Apple pay symbol is missing, either the store doesn’t accept Apple pay or Apple’s map info isn’t up to date.